It’s hot. The city of Philadelphia declared an excessive heat warning. Despite my undying love of summer, I’m thinking about snow. 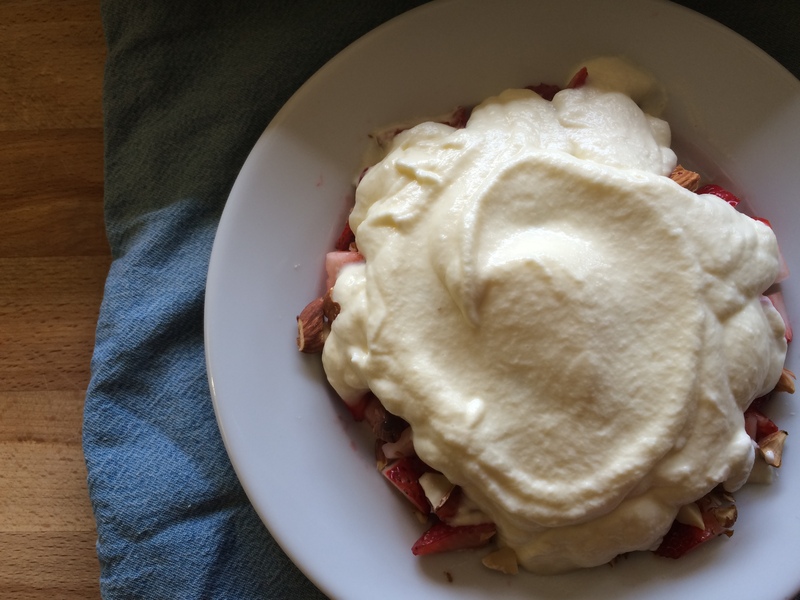 When Heather Wolfe, Sarah Powell, and I were selecting a recipe to cook with the paleography class at the Folger Shakespeare Library last month, Sarah added this recipe for “Snow cream” from Mary Hookes’s manuscript recipe book V.b.342 to our list. (Check out the Almond Jumballs we made here.) In my heat frenzy yesterday afternoon, I went digging through my email to track down the citation. 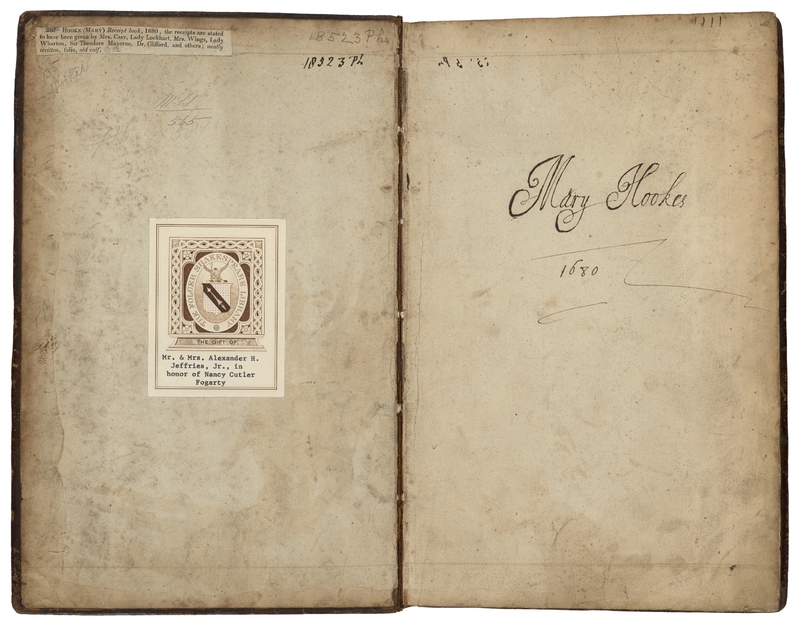 The manuscript includes entries from circa 1675-1725 and was signed by Mary Hookes in 1680. It begins with an alphabetical index and contains a range of household recipes including perfumes, preserves, and cakes. I have much more work do to on this manuscript, but yesterday I had snow on the brain and decided to give this recipe a try. Rosewater flavored whipped cream? Almonds and strawberries? How could this be anything but delicious? you use itt, Take itt offe with the skimer. I used a hand mixer to whip my cream. This tool, as well as modern dairy processing methods, decreased the need for skimming mentioned in the original recipe. I started with one cup of cream instead of six quarts. The recipe below serves three-four people, six quarts of whipped cream would feed a crowd. Line a serving dish with the strawberries and almonds. Put the cream and sugar in a sturdy bowl. Using a hand-held mixer or a large whisk, whip the cream until it holds stiff peaks. Stir in the rosewater. Add the whipped cream to the serving dish in large dollops. Cool, sweet, and fresh, snow cream was exactly what I wanted to eat. Tufts of cream drenched the berry and nut base. The crunch of the almonds, the floral note from the rosewater, and the tang of the strawberries make for a chilly summer dessert. I could close my eyes and imagine snow. I’d love to try this with black or red currants (and if you do I hope you will let us know). 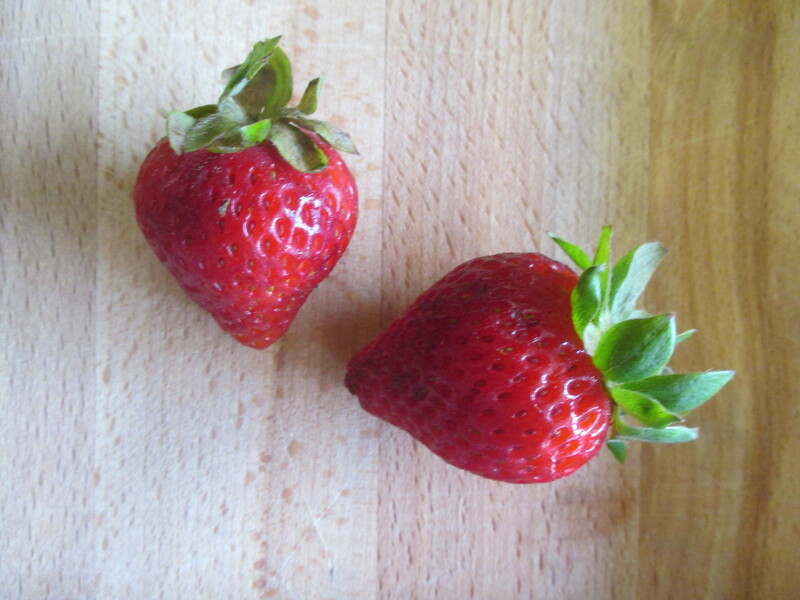 Feel free to substitute in any fresh berry or sliced fruit. Try a different nut or a mix of seeds. Swap out rosewater for orange blossom water or vanilla. This simple, refreshing dessert is highly adaptable in the modern kitchen. Stay cool, dear readers, and let us know how you fix your “Snow cream” this summer. I wonder whether this recipe is from America or not. Did Americans eat this during the period form 1675-1725? Sorry to disturbing you and I’m looking forward to your response. Thank you!! Thanks for your question! This recipe is from an English recipe book, but Americans might have eaten this dish during the seventeenth- and eighteenth-centuries as well.